The term 'Green Energy' includes a number of technologies, like wind, solar, hydroelectric and biomass. SoftPLC products are being used in many of these applications, and in a big way. In fact, SoftPLC's are currently used to generate over 17% of the clean power in the USA! In Northern California, SoftPLC controllers, Tealware I/O and Web Studio are used by Blue Lake Power in their biomass electric power plant. 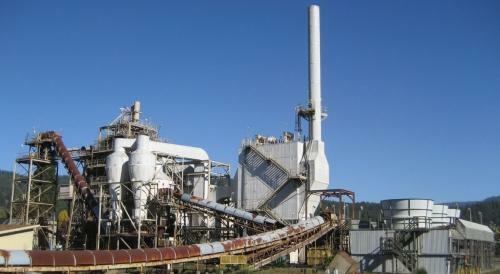 The plant was originally a coal-fired plant that has been converted to burn woody waste. It uses wood chips as its main fuel source for a conventional boiler system which powers a steam-turbine generator. Four SoftPLC's are used for material handling, for both the input fuel and the ash by-product conveyors, and for all of the process control. 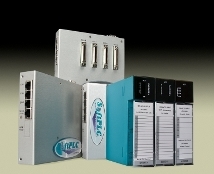 SoftPLC CPU's with remote Tealware I/O connected via Ethernet are used for all the systems. Web Studio is used for the plant SCADA system, which includes a redundant server, several Fuel Pile desktop client stations and two large LCD wall-mounted displays in the control room. Web Studio is also used as the HMI running on portable tablet PC's by the maintenance crew. The Blue Lake plant adds over 93,000MWh of renewable power annually to California's grid. The plant is rated at 12.5MW and can generate enough electricity to power 25,000 homes. We have an online RSS News Feed that posts software & firmware updates, new add-ons, etc. Click here for the link. Copyright 2011 SoftPLC Corporation. All rights reserved.